What is Apple Patty Patches? Apple Patty Patches is a delightful story about a little girl who loves apples but can't see them well with both of her eyes. 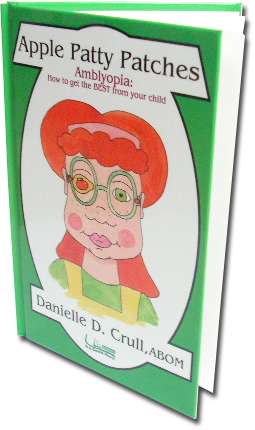 Geared towards 3-8 year olds this book will help you explain to your child just what is happening to his or her eyes. Amblyopia is a common vision imparement that can affect children. Also known as Lazy Eye, it presents itself as a significant decrease in vision clarity in one eye over the other. This can be detrimental to a child's still developing vision. If amblyopia is left untreated, it can lead to permanent blindness. Children with amblyopia have one eye that sees better than the other. They are required to patch their good eye or use vision-impairing eyedrops with the hope of making the not-so-good eye see better. This is known as Occlusion Therapy. While the child is patched, they often do not see well and have difficulty with peripheral vision as well as depth perception. *Statistics from Mazow, Malcom, et al., "Outcome Study in Amblyopia Treatment and Practice Pattern Variations." AAPOS Journal, February 2000, V4, No 1. and Newsham, David, "Parental Non-concordance with Occlusion Therapy. "British Journal of Ophthalmology, November 2000, 84:957-962. How will Apple Patty Patches help children with their occlusion therapy? This book was designed to be used while your child patches. This book not only has a story that your child will relate to, but this book offers activity pages that you and your child can go through together. Apple Patty succeeds in her occlusion therapy and your child will too. What else can I do to help my child's occlusion therapy? Located in York Pennsylvania, SUCCESS is a support group for patchers and parents of patchers. Parents will recieve the best advice From Danielle Crull, ABOM while the children will play and patch together. The group meets every first Monday of the month. 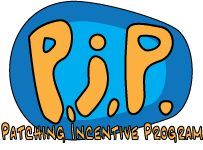 Patching Incentive Program is a service provided by A Child's Eyes in Mechanicsburg, Pennsylvania. PIP provides printable patching worksheets that you and your child can complete together. Once your child completes a worksheet, they can turn it in for a prize! Patcher's Pack is a monthly subscription service that can help your child continue to be engaged with their occlusion therapy. 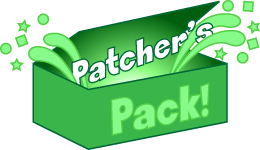 Each month you will be sent a "Patcher's Pack" that contains a bunch of activities that are designed to help develop their vision and engage their weak eye.